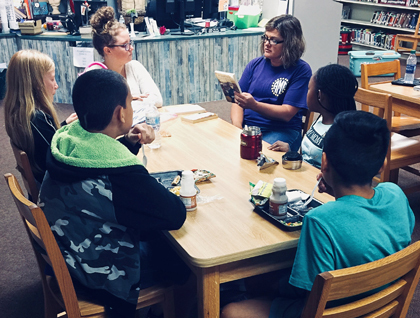 Tallassee Reads kicked off this summer when the school system purchased “The Book Whisperer” by Donalyn Miller for all teachers, administrators and board members. During teacher in-service at the beginning of the school year, the superintendent, principals and vice-principals had to present the book to the teachers and staff. The book outlines how to inspire and motivate students to read through unconventional methods which helps teachers find books that their students really like to read. All three schools have placed book bins throughout the campuses where students can take or leave a book. There isn’t a checkout system. Students are free to take a book, keep it, return it after reading it or bring books from home for others to enjoy. The book swap isn’t just for students. The teachers and staff at all three schools have a teacher book swap in place. “We want the kids to see the teachers reading too,” Miller added. 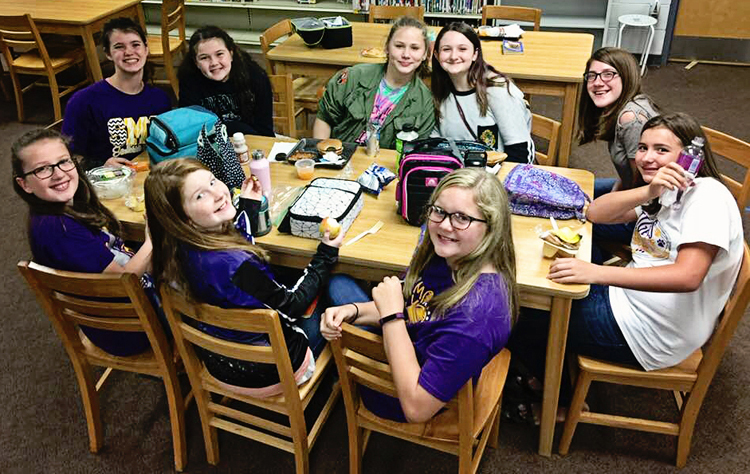 Miller has also started voluntary book clubs during lunchtime at Southside Middle School that principal, Micah Cook has named “The Lunch Bunch.” The first semester sixth and seventh graders were invited to join the book club. Students were required to e-mail Miller to sign up. It was on a first come, first serve basis and currently has a waiting list. Students meet once a week to discuss the books being read. Currently the sixth grade Lunch Bunch is reading “A River Runs Through It” by Norman Maclean and the seventh grade Lunch Bunch is reading “The Westing Game” by Ellen Raskin. Fifth and eighth graders will be able to participate in the book clubs during the second semester of the school year. Miller is excited that Accelerated Reader (AR) is being emphasized in all grades at Southside. To coincide with the Tallassee Reads movement, Miller has renamed AR, TR for Tallassee Reads. Instead of counting points like in years past, Miller is counting the words they read. Grades are not assigned for the accelerated reading program and children will be rewarded with incentives, like a Harry Potter party around Halloween to celebrate the 20th anniversary of the beloved book. “This is just the beginning,” Miller enthusiastically stated about Tallassee Reads.